PRIME Minister Kamla Persad-Bissessar will formally hand over chairmanship of Caricom to St Vincent and the Grenadines Prime Minister Dr Ralph Gonsalves when she attends the 35th Regular Caricom Heads of Government Meeting in St Vincent on Monday. 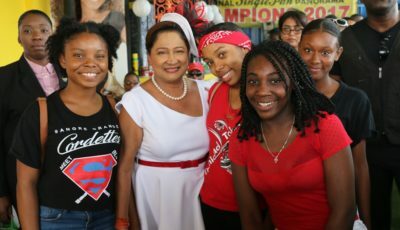 Speaking with reporters at the post-Cabinet news conference at the Office of the Prime Minister in St Clair yesterday, Persad-Bissessar said she will leave the country for St Vincent on Monday but will return 24 hours later. She gave no indication who will act as prime minister during her absence. Labour Minister Errol McLeod acted as prime minister last week while Persad-Bissessar was on a state visit to China. Foreign Affairs Minister Winston Dookeran, Legal Affairs Minister Prakash Ramadhar, Local Government Minister Marlene Coudray, Housing Minister Dr Roodal Moonilal and Tobago East MP Vernella Alleyne-Toppin are the other persons currently in the Government who have acted for Persad-Bissessar while she has been overseas. Gonsalves has already assumed the chair of Caricom since January 1. Next week’s meeting is expected to see Caricom leaders continue discussions they had from the 34th meeting in this country last July. 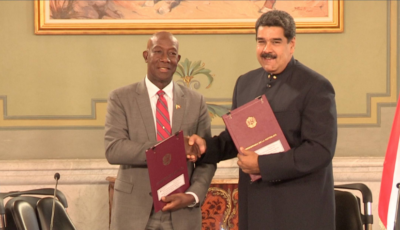 One of those discussions includes granting the Dominican Republic (DR) membership in Caricom. 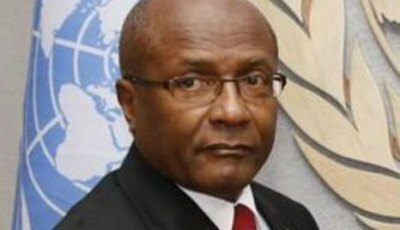 That country’s application to join Caricom was put on hold after DR nationals of Haitian origin were sent back to Haiti as a result of a decision by the DR’s constitutional court.